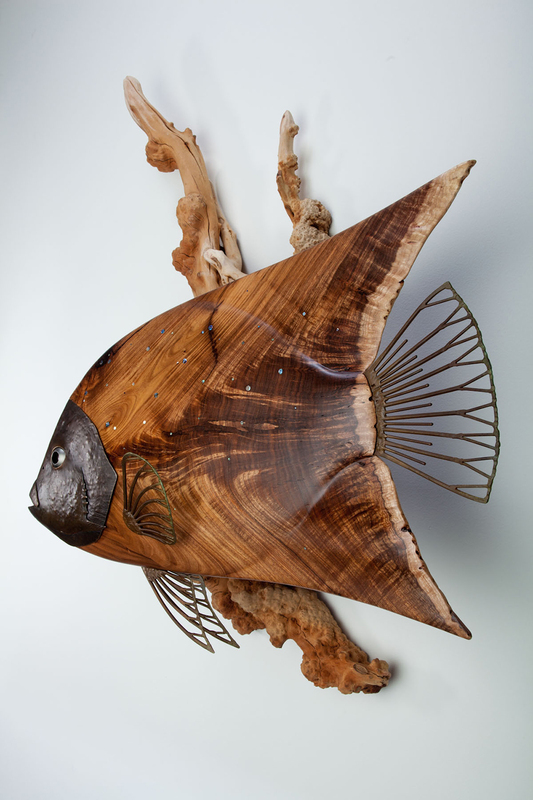 There are few things more beautiful than an angelfish. 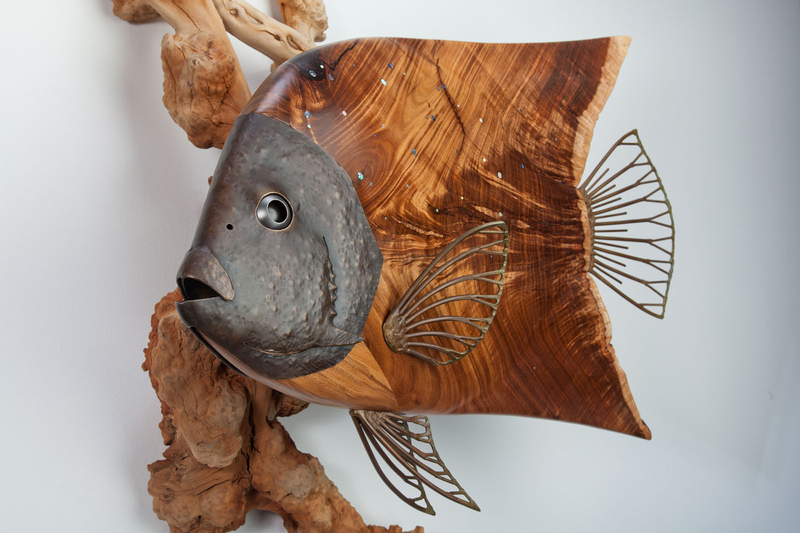 This sculpture started as a piece of wood with incredible patterning. 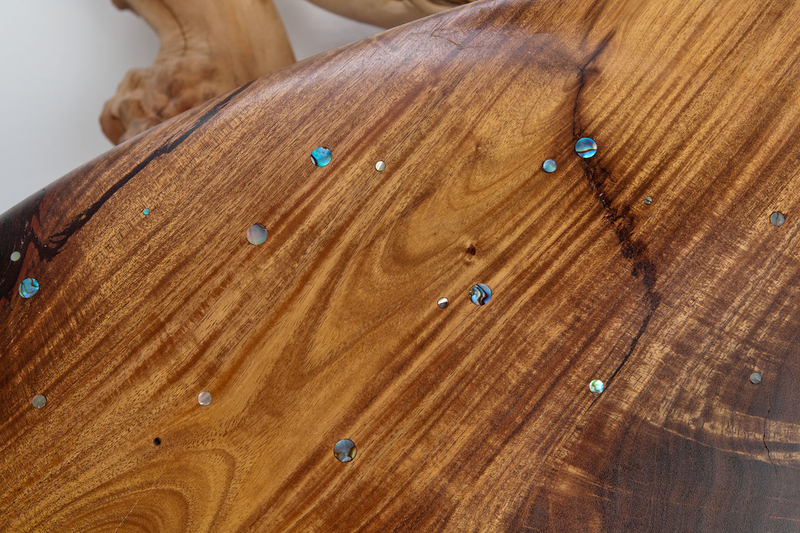 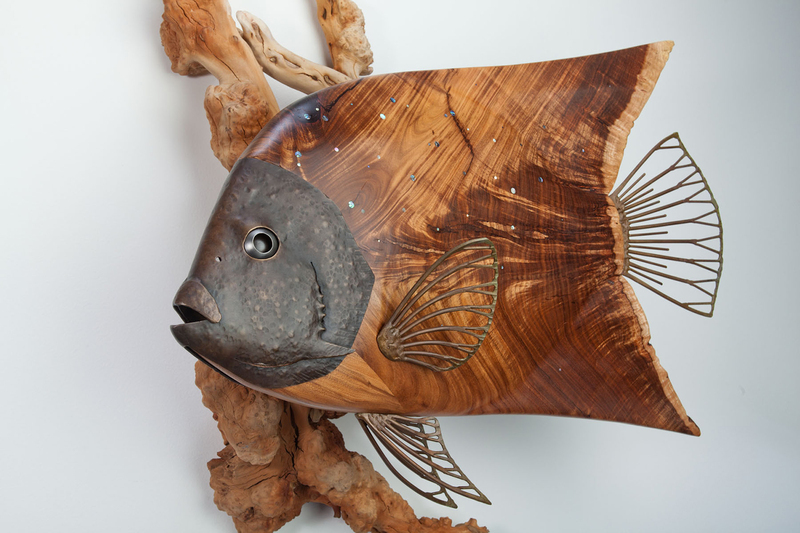 The wood was the crotch section of a tree trunk with a grain pattern that lent was perfectly reminiscent of an angelfish. 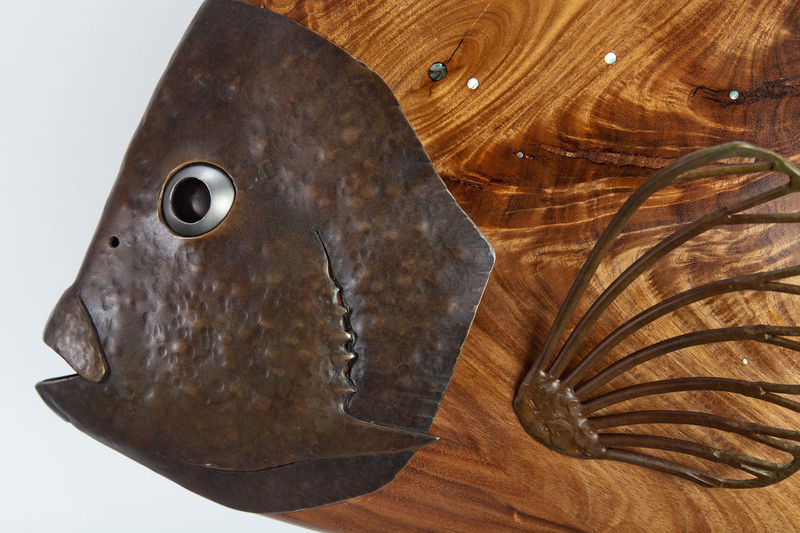 The head and fins are hammered and welded bronze. 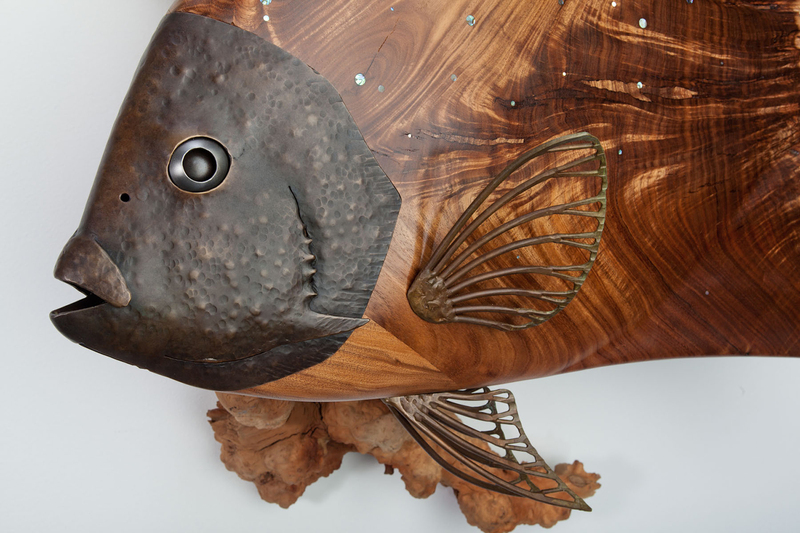 The eyes are steel and the base is manzanita burl. 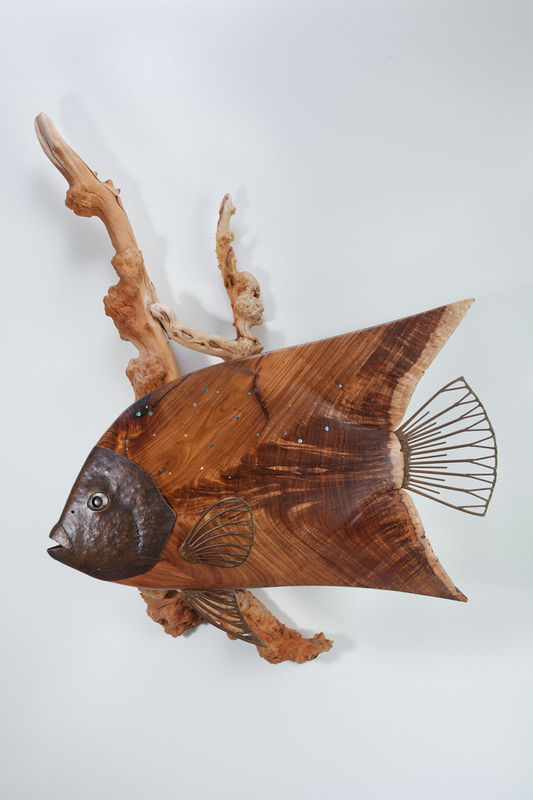 The body of the fish is inlaid with abalone pieces.